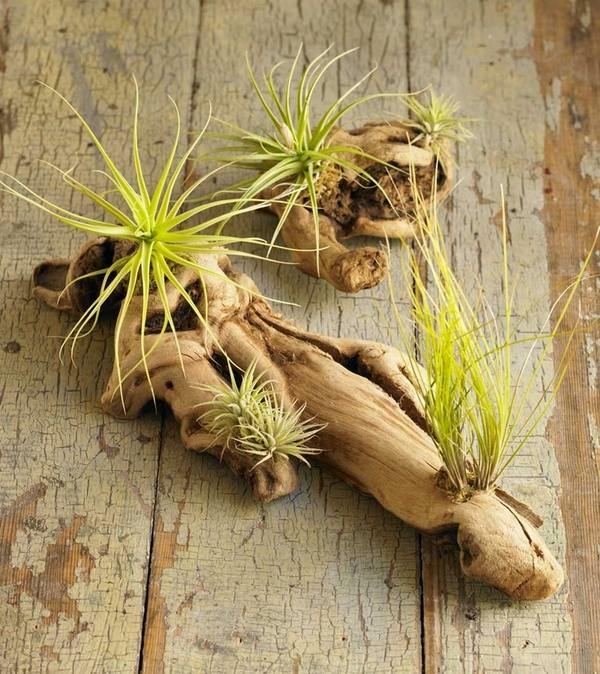 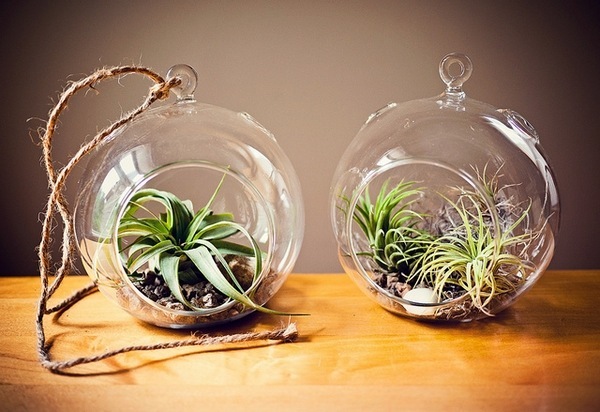 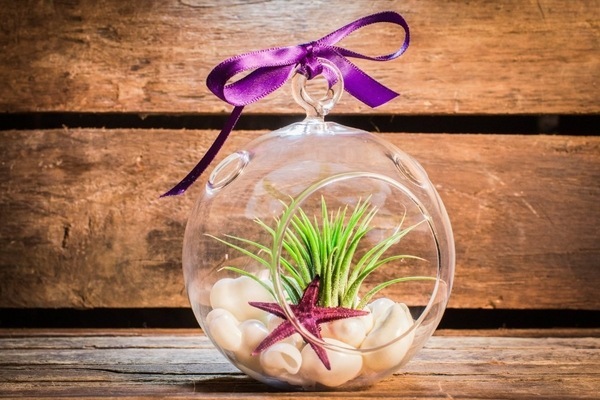 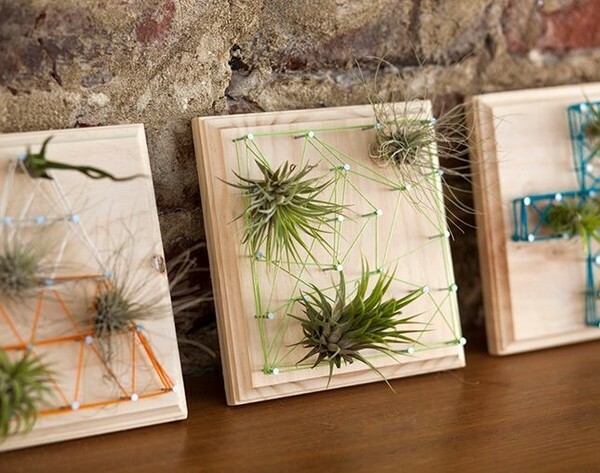 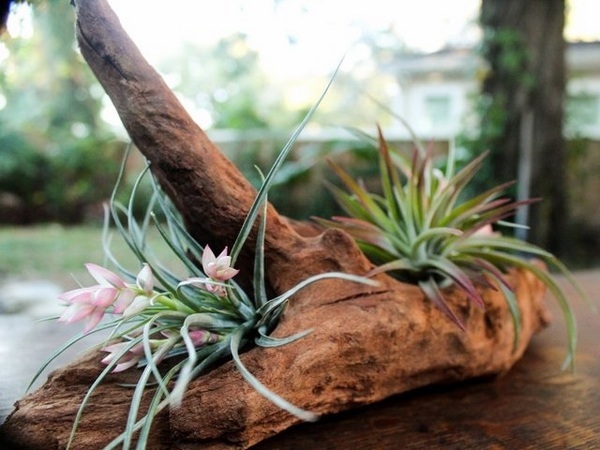 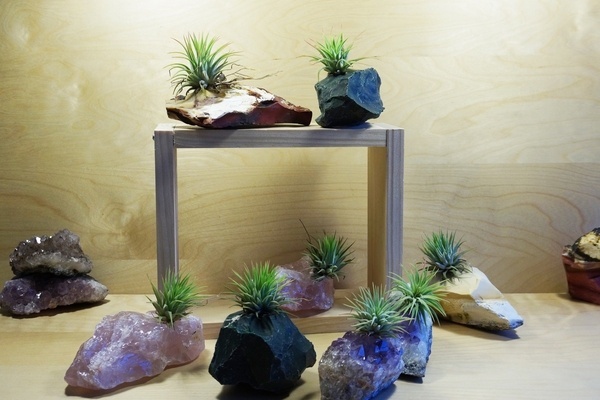 We shall show you 50 creative ideas to display your air plants in a most spectacular way. 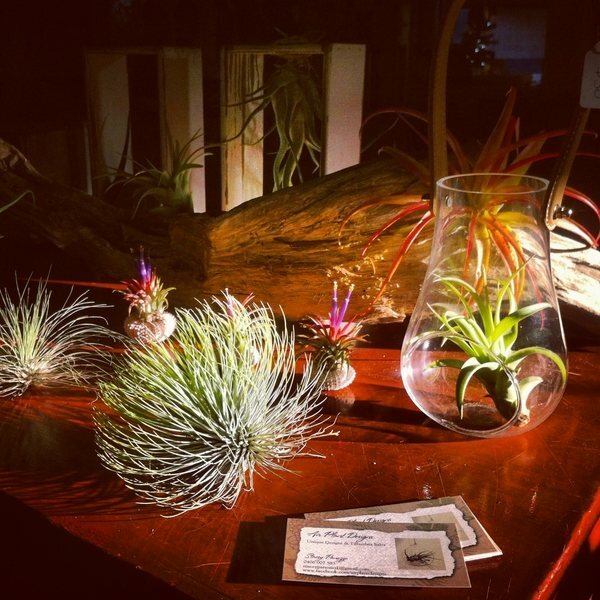 Do you know that there are over 400 species of air plants? 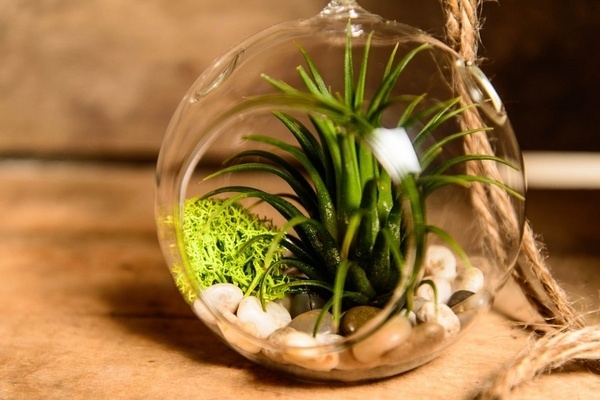 They can be used and displayed in so many ways – a single plant, in a group, in a miniature glass ball or in a spectacular terrarium. 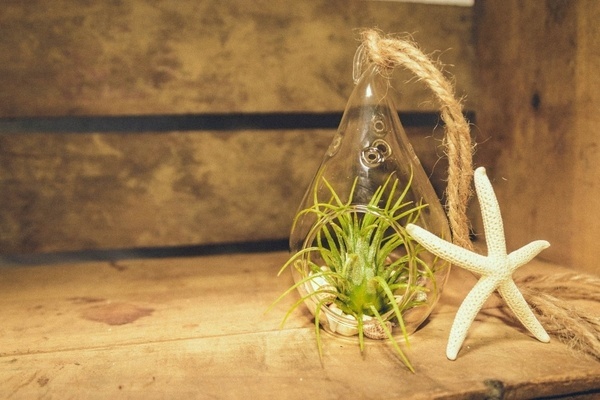 Air plant containers can be hanging, wall mounted, placed elegantly on a side table or arranged in an eye catching design with other natural elements to form a fascinating home dеcor. 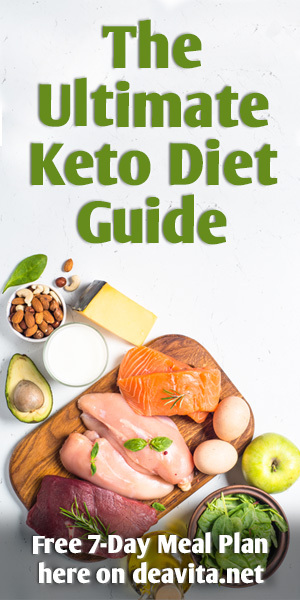 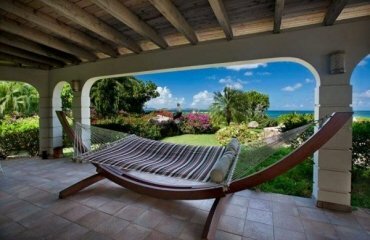 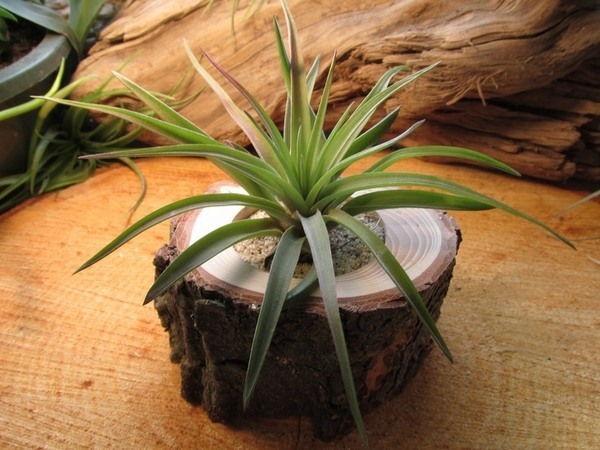 There are, of course, some basic rules for caring and we will give you useful and practical tips for the good health of your plants. 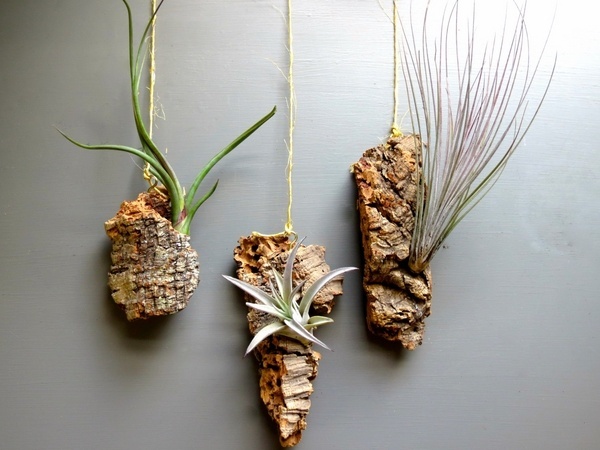 How to take care of air plants? 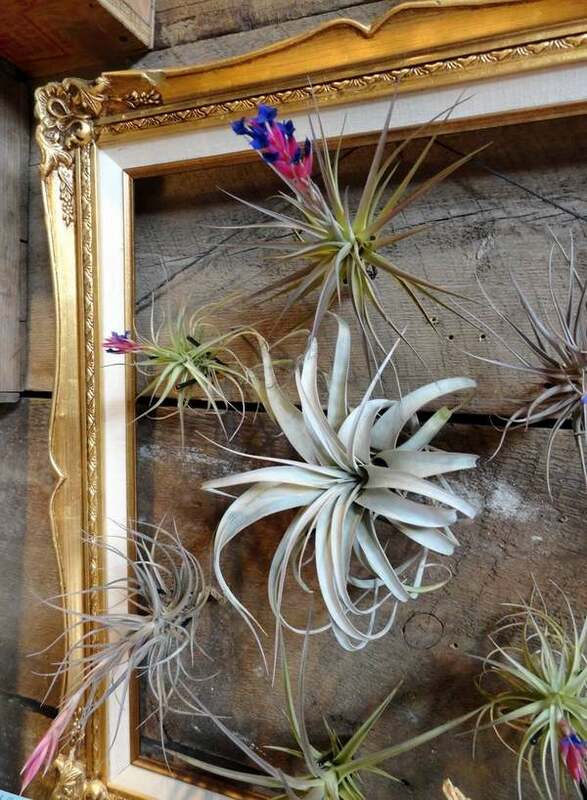 Air plants or Tillandsias, if you prefer, are quite different from other indoor flowers and grow in a very different way. 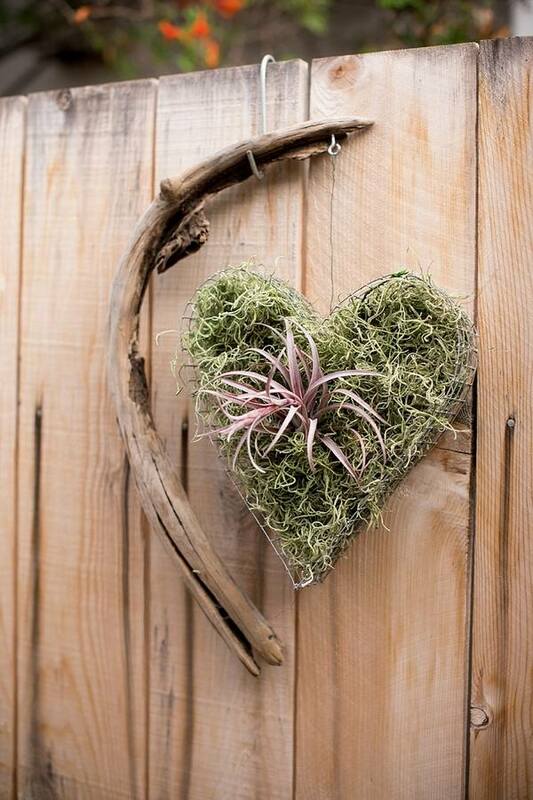 The greatest advantage of Tillandsias is that they require much less care and attention than other plants which does not mean none, of course. 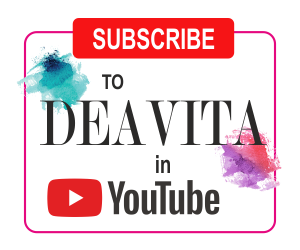 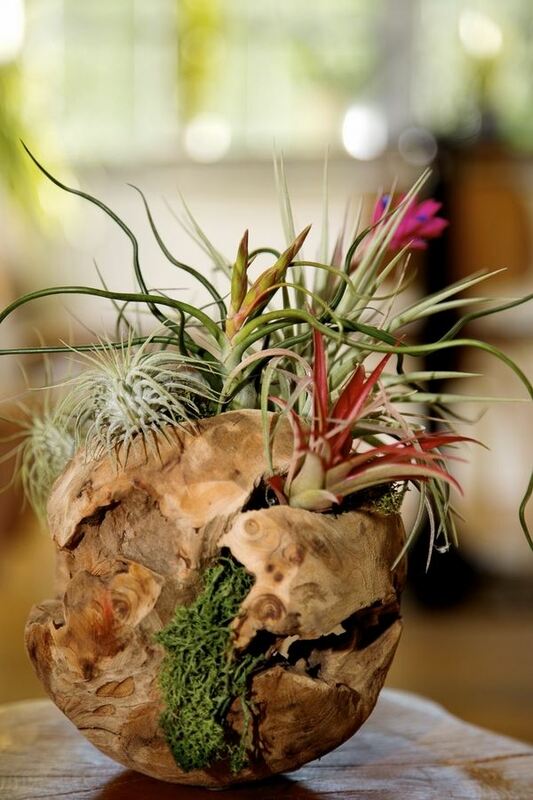 Like any other living plant, they need watering, light, air circulation, right temperature, the right air plant containers and some fertilizing. 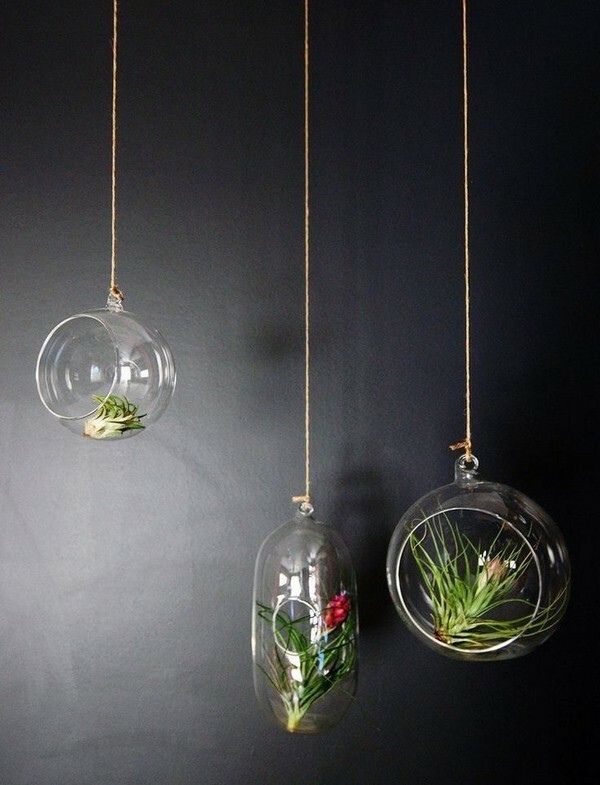 How to water air plants? 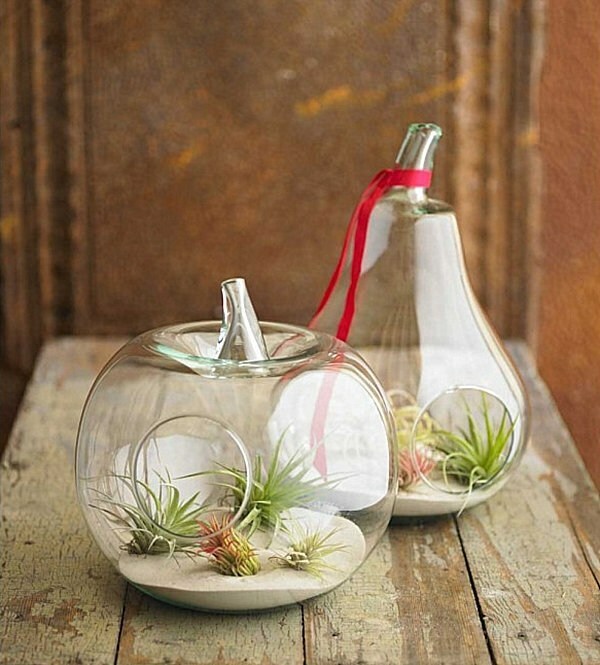 Watering is of great importance to Tillandsias. 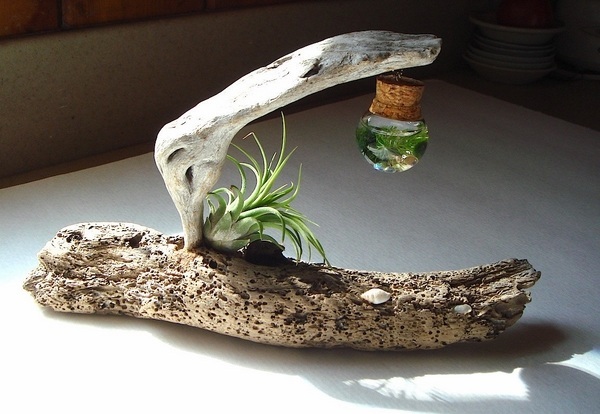 The name “air plants” is misleading and many people think that they do not need or need very little water. 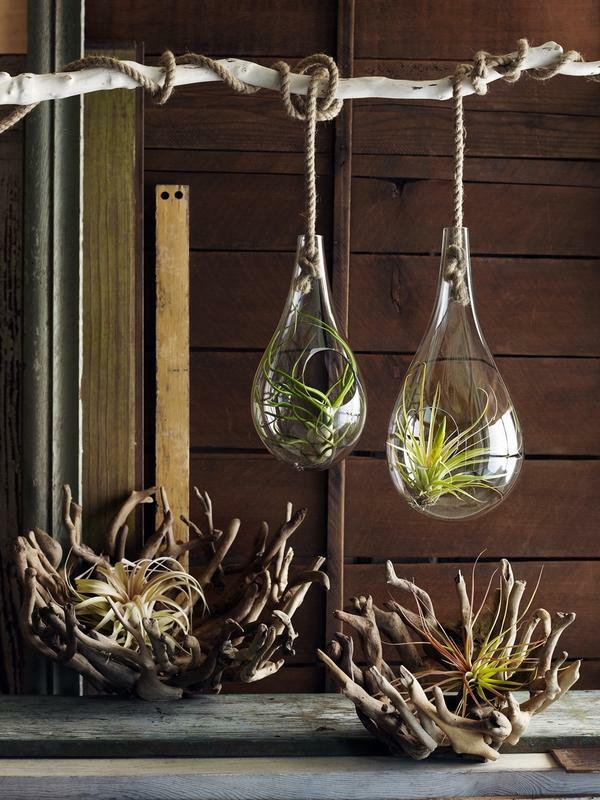 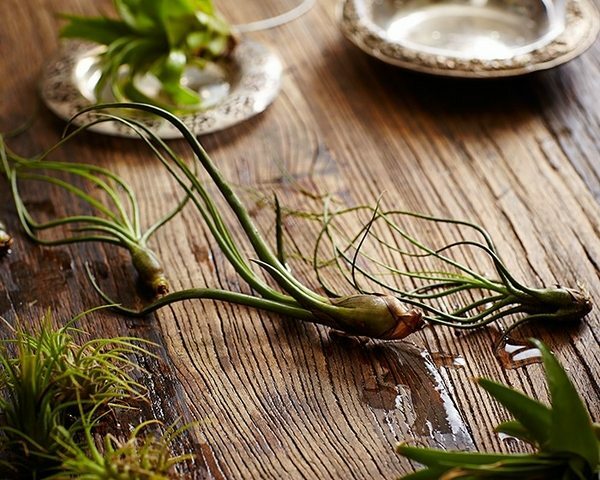 Make no mistake – air plants do need water, despite the fact that they will survive a fortnight of drought. 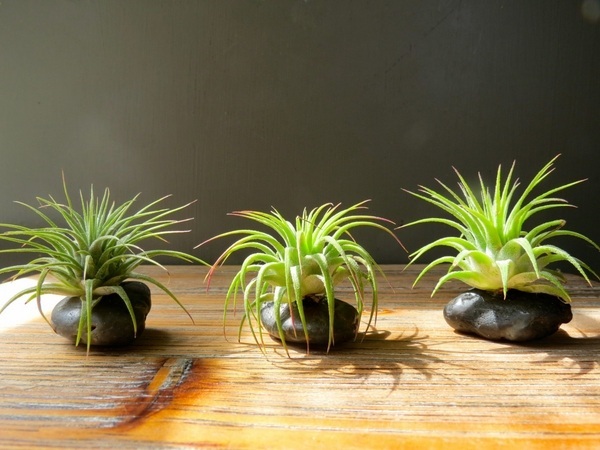 The longer you keep them dry, the chances grow that your adorable plants will die. 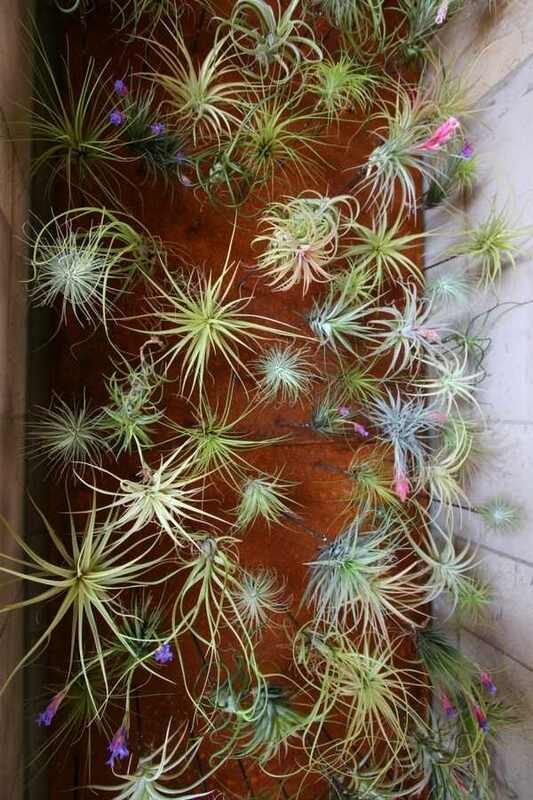 Tillandsias obtain their water through the leaves and in they receive it with dew, fog and rain. 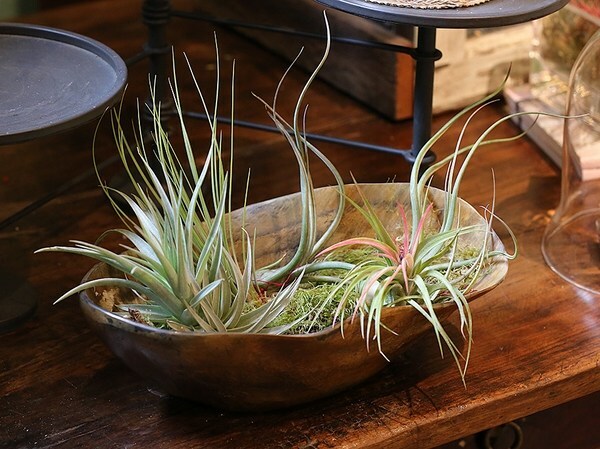 House plants should be wet thoroughly at least two times a week. 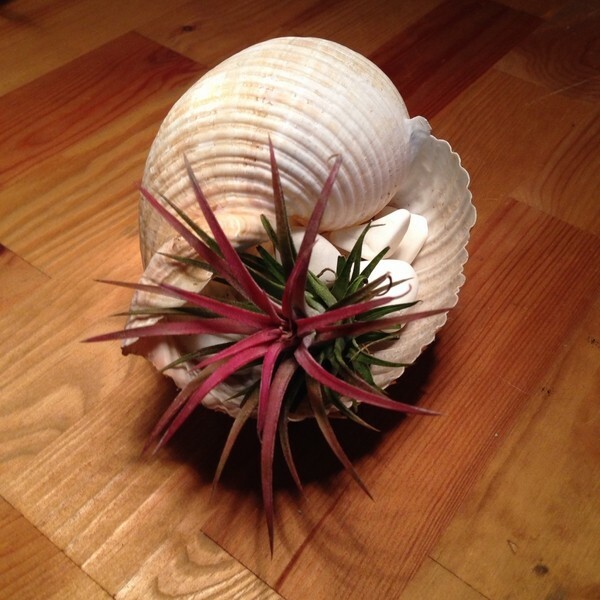 A note of attention – your Tillandsias will not survive standing in water but rot and die. 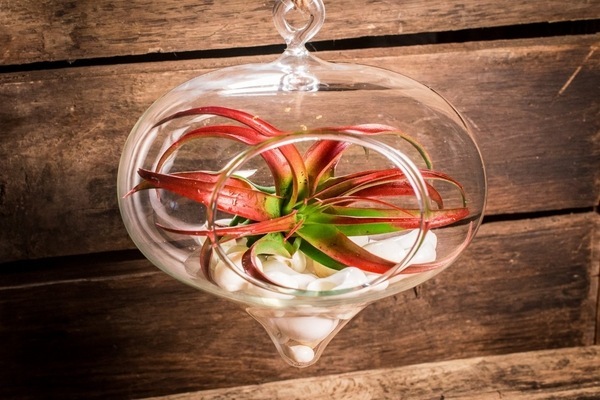 This means that air circulation is just as important as watering. 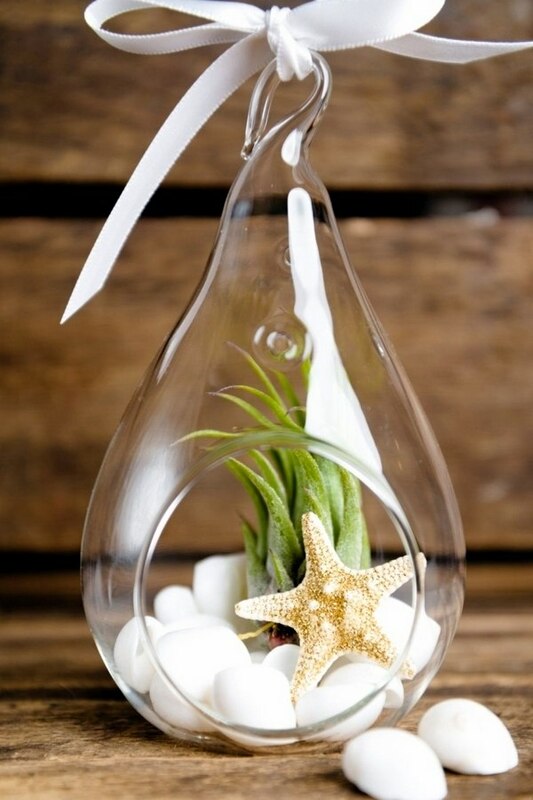 Make sure that your plants get enough light and air circulation for at least four hours after watering in order to dry. 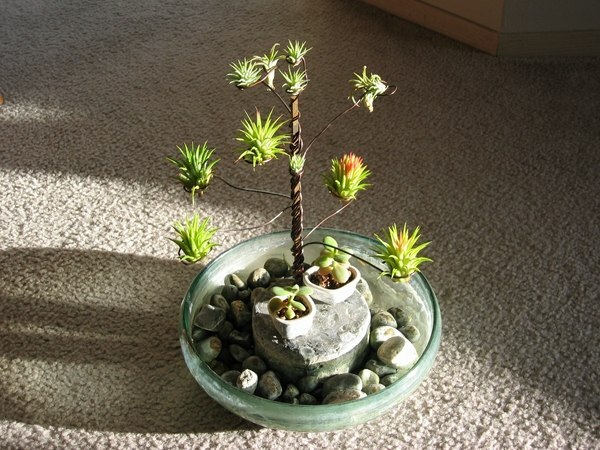 Adequate lighting and temperature are as important for healthy plants as watering. 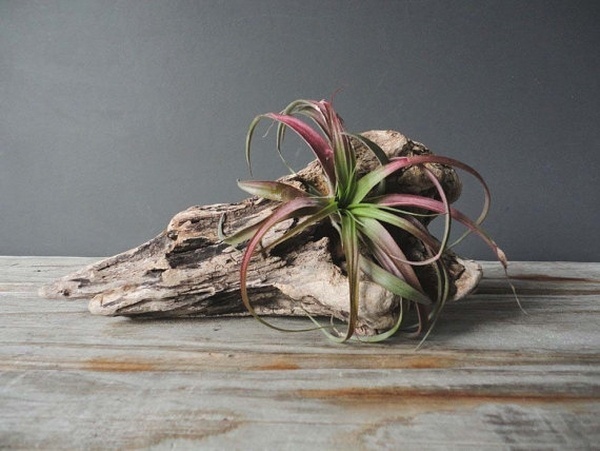 Bright light is recommendable as long as it does not burn your air plants. 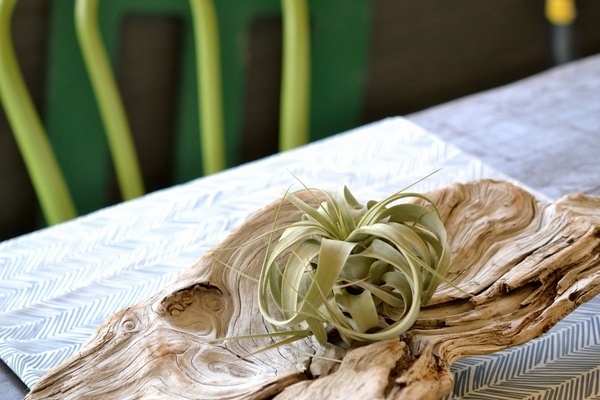 If you grow Tillandsia outdoors, make sure it is under a tree and on a shady spot. 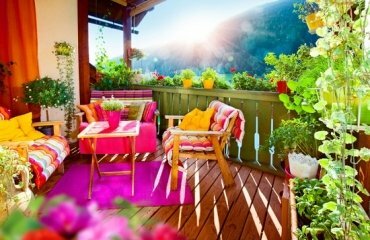 Direct sunlight for an hour is okay but you do have to avoid direct sunlight for a whole day. 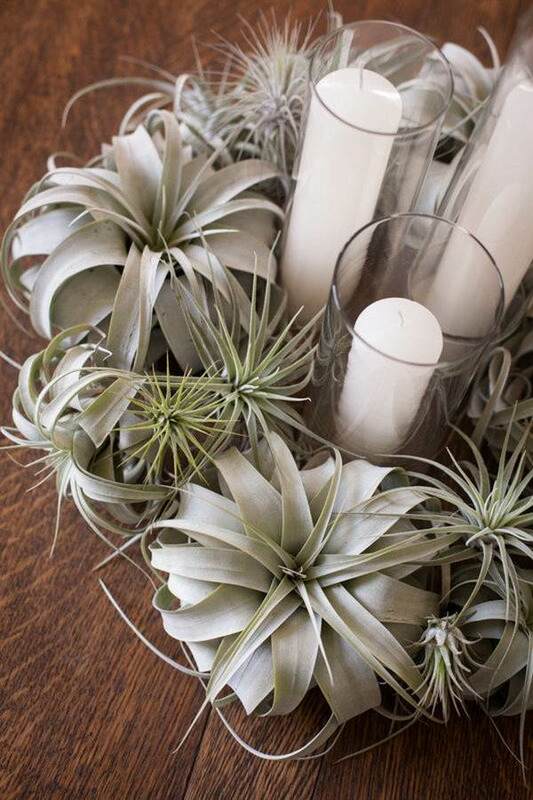 When you grow Tillandsias indoors, you need to know that they will feel very well in front of a window. 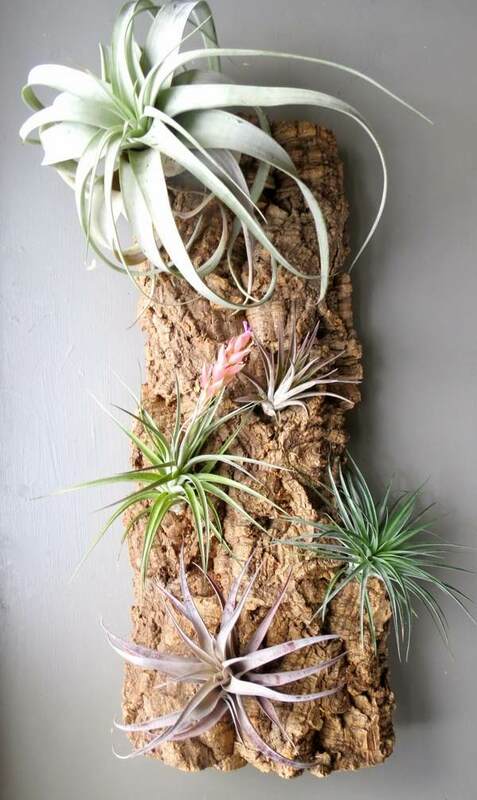 Artificial light is also okay and full spectrum artificial light (fluorescent) is best provided that the plants are not further than 36″ from the fluorescent tubes (90 cm). 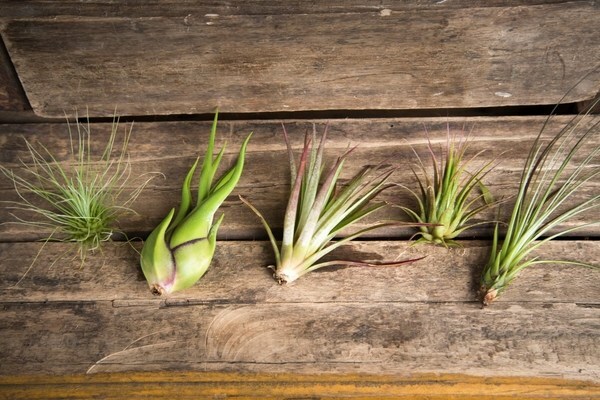 What is the best temperature? 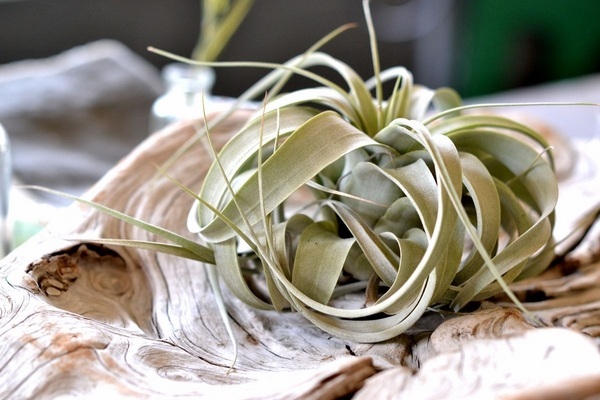 Tillandsias feel best at 50 – 90 degrees F (10-15°C). 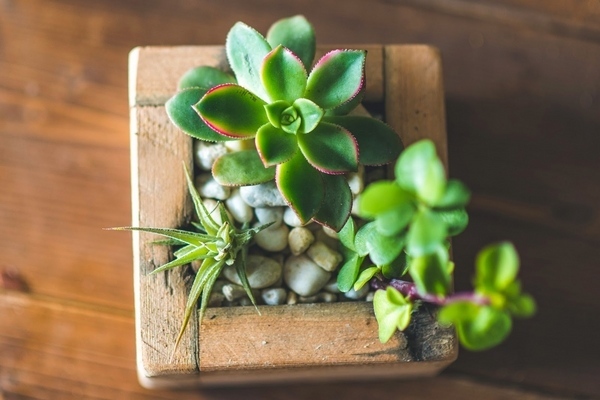 Use a water soluble fertilizer at 1/4 the strength specified on the label only once a month. 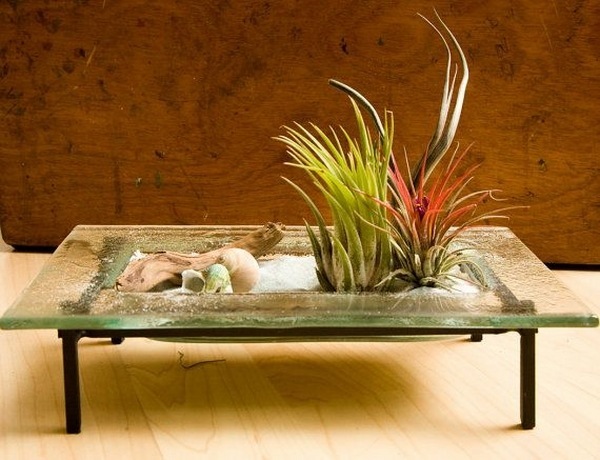 Bromeliad fertilizer (17-8-22) is the most recommended fertilizer. 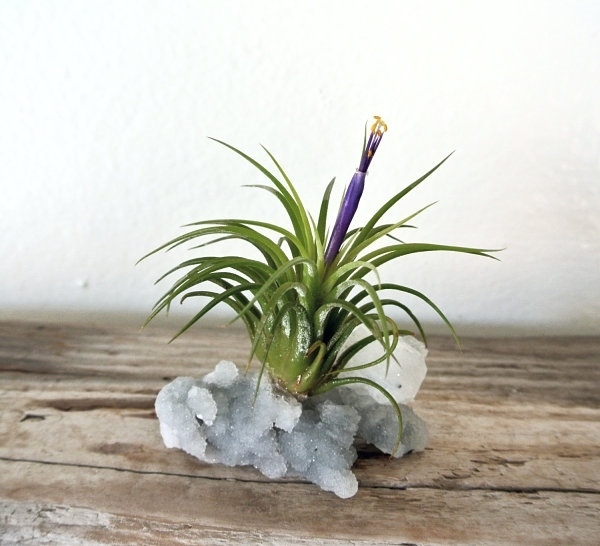 Remember that these flowers are delicate and tiny, so the fertilizer shouls not be too strong. 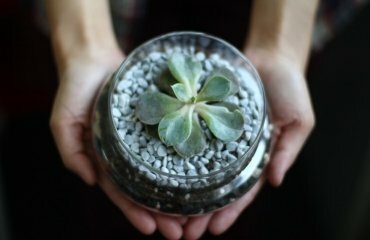 Other options are Rapid Grow, Miracle-Grow, etc. 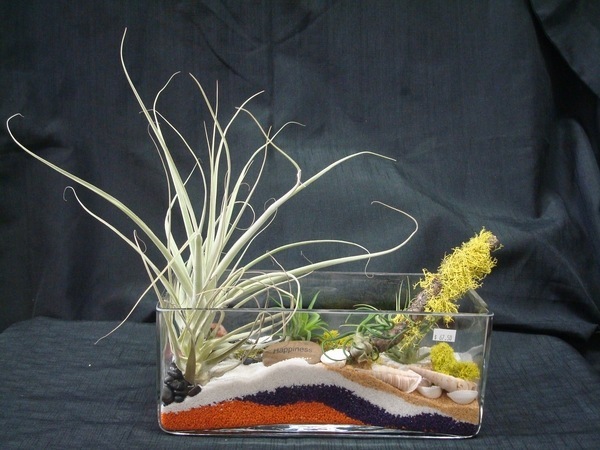 Air plants in a pond or aquarium do not need fertilizing as they get enough of a natural fertilizer. 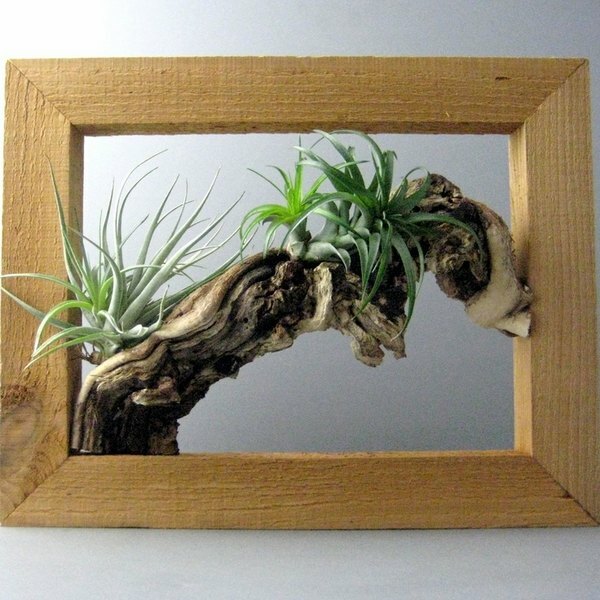 Air plants will be the perfect decoration for areas where you simply can not find a place for large plant species. 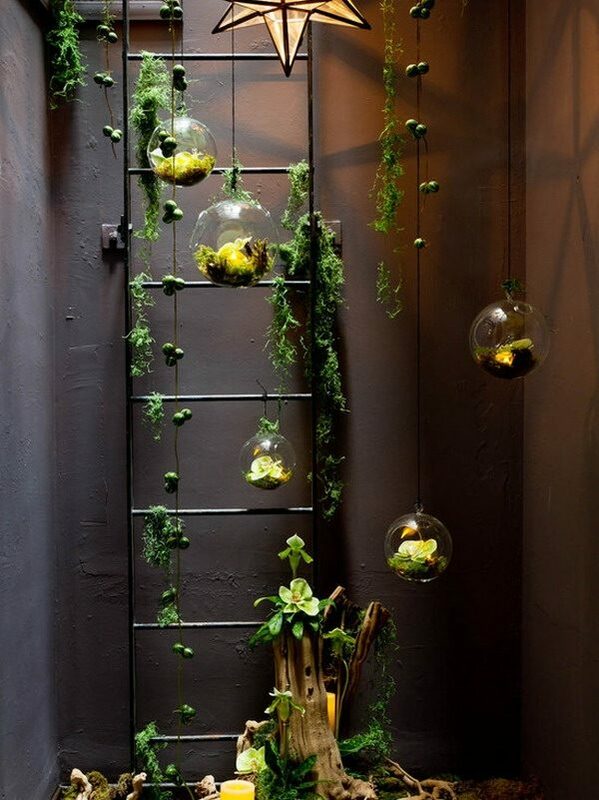 They are the perfect solution for indoor gardening, being not only a decorative element of design, environmentally friendly, but also allowing you to maintaining safety. 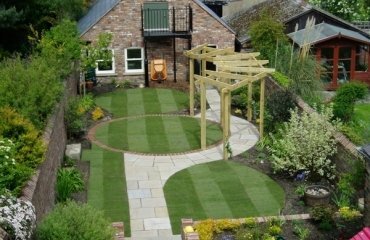 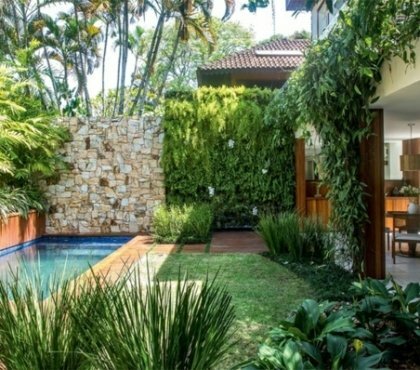 An advantage is also the fact that they do not accumulate excess water in the planters which helps to maintaining normal environment. 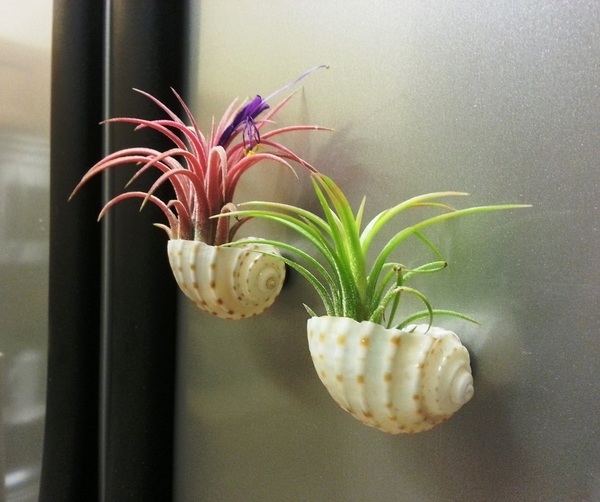 They can be placed in decorative plates, transparent vessels, cups, or directly on the furniture. 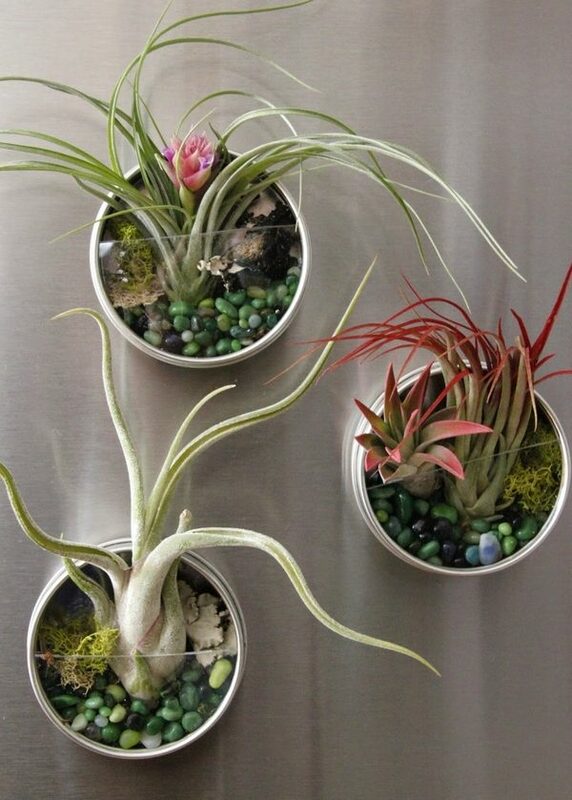 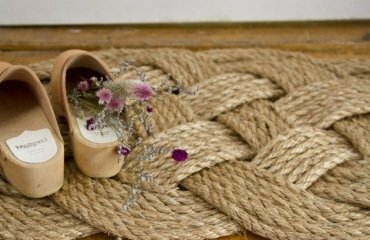 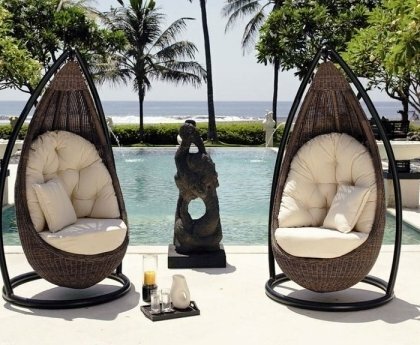 Unique, amazing and beautiful they will look great in any interior. 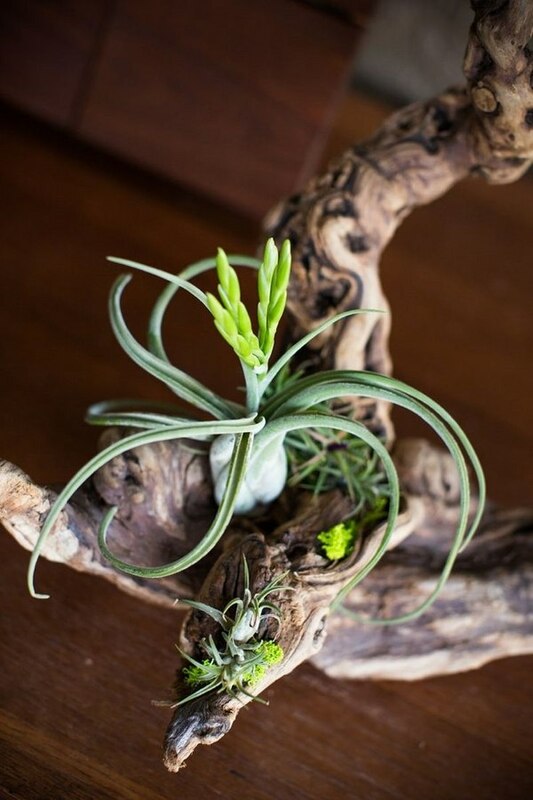 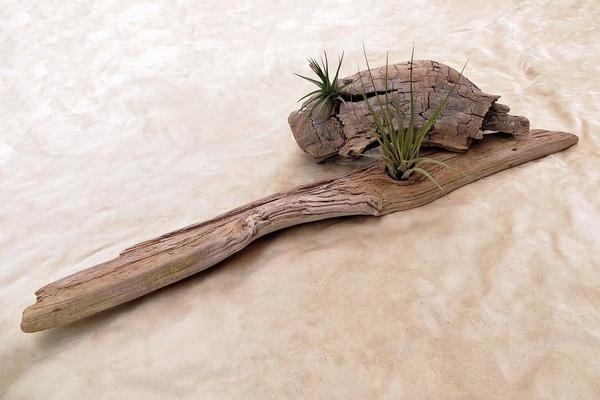 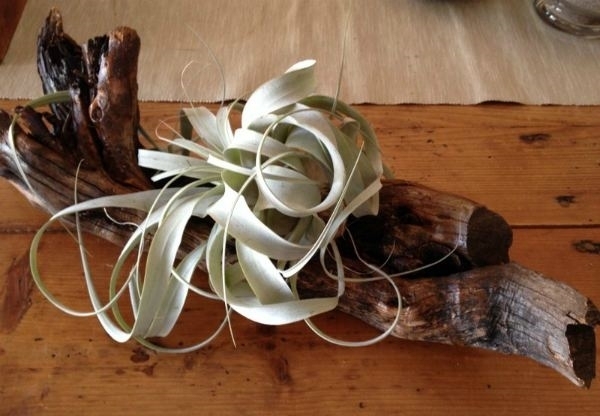 There is no limit to the creativity and the ways to display your air plants. 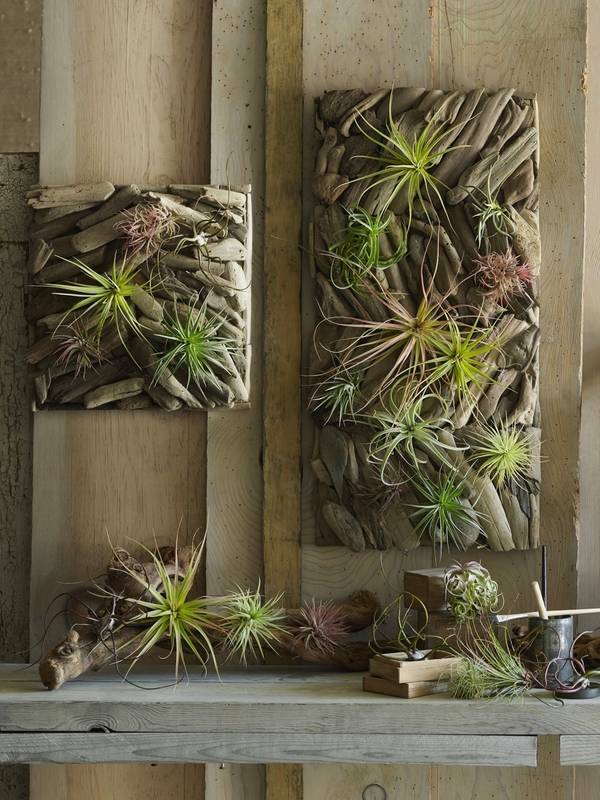 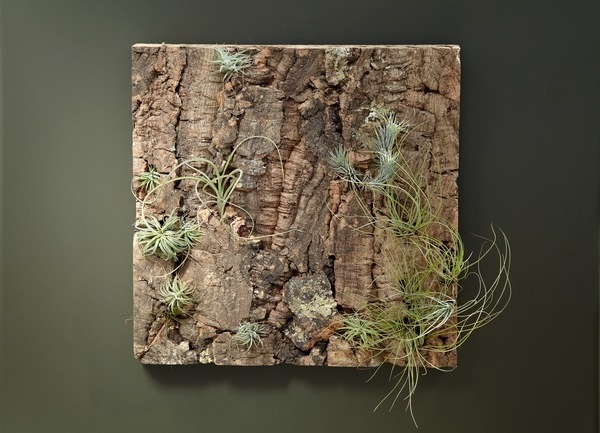 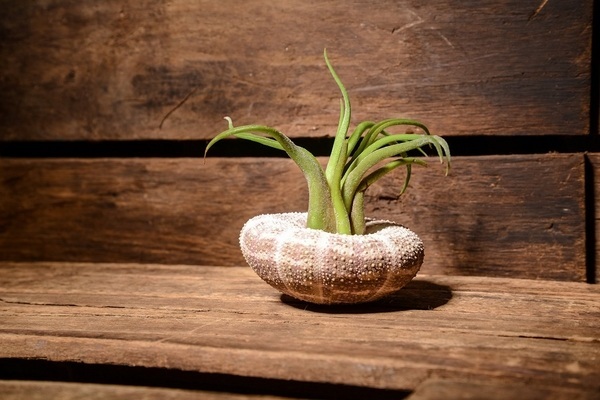 Tillandsias can grow anywhere – on rocks, seashells, in ceramic pots, attached to wood or a stone. 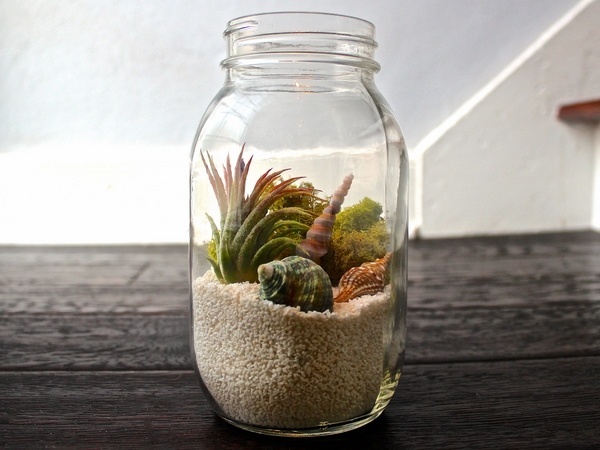 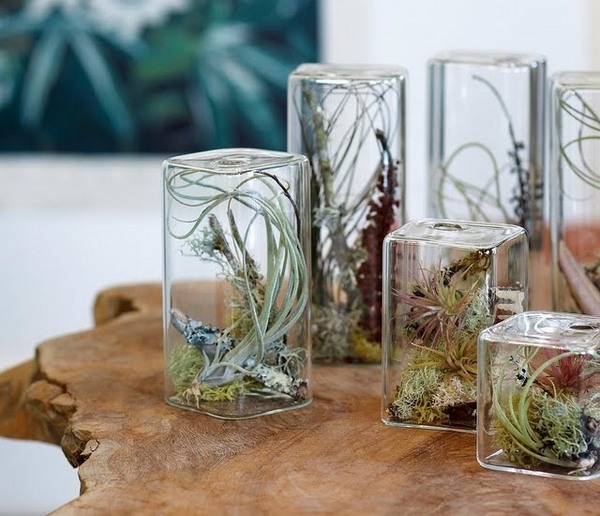 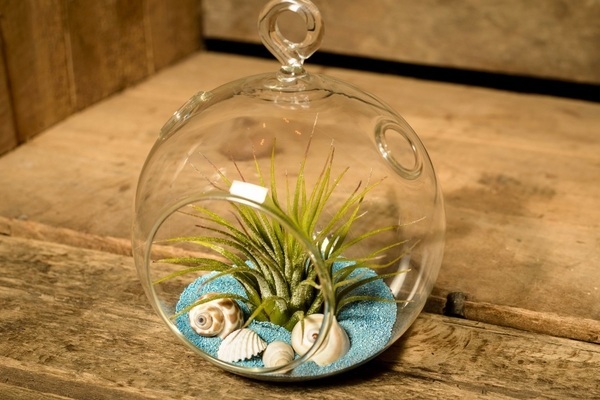 Air plant terrariums are stunningly beautiful and you will find some magnificent ideas in the gallery below. 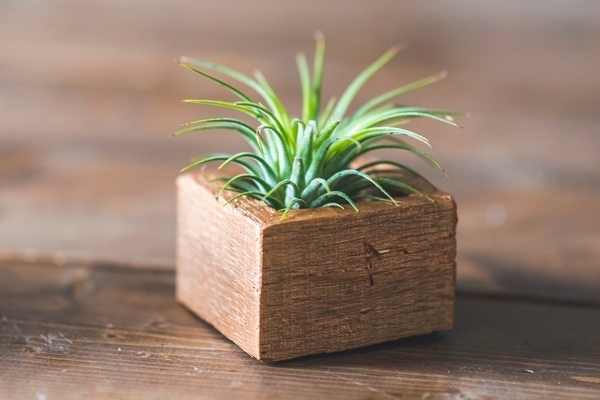 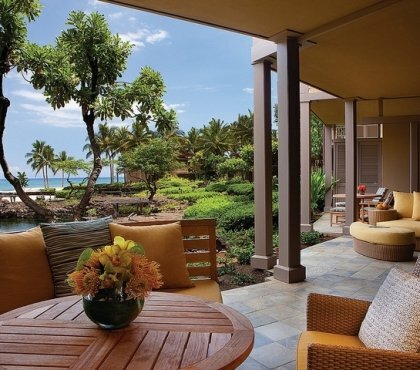 Get inspired for your own fascinating miniature garden and adorable home decor. 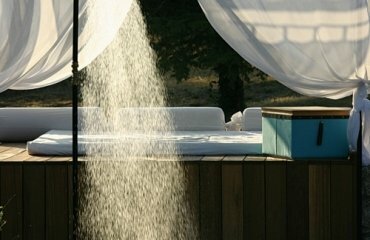 How to build an outdoor shower in the garden by yourself?